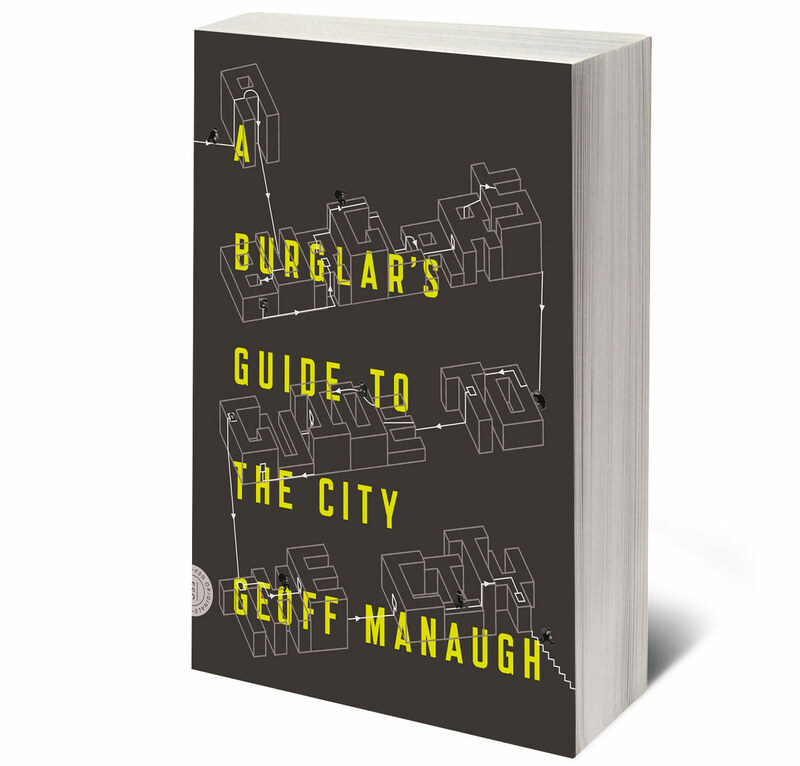 CBS has pledged to do a TV pilot show based on Geoff Manaugh's A Burglar's Guide to the City, which came out in April this year to rave reviews. Manaugh is also the author behind the architecture blog BLDGBLOG. CBS's TV show (by the same name) will be produced by Alex Kurtzman, Justin Lin, Heather Kadin and co-executive producer Paul Grellong. Grellong has written the show, which will feature a gang of contemporary Robin Hoods, orchestrated by an architect with a dark history, who steal from wealthy crooks and give to those in need. Manaugh tweeted yesterday that he was "over the moon" that his book was being adapted to screen format. "Really looking forward to this," he also tweeted, "such a great team is behind the adaptation, as well." Kurtzman and Lin were both executive producers on the CBS drama, Scorpion, now in its third season. Lin directed Scorpion's pilot and, according to Deadline, may do so for A Burglar’s Guide to the City. Manaugh's book looks at architecture through a burglar's eyes and includes real-life accounts of criminal break-ins and escapology. A Burglar’s Guide to the City draws from interviews with F.B.I. Special Agents, reformed bank robbers, private security consultants, the L.A.P.D. Air Support Division, and architects to take readers through walls, across rooftops, into bank vaults and panic rooms, and down elevator shafts. Temporary Air Force bases, oil derricks, secret prisons, multi-story car parks, J.G. Ballard novels, Robocop, installation art, China Miéville, Department of Energy waste entombment sites in the mountains of southwest Nevada, Roden Crater, abandoned subway stations, Manhattan valve chambers, helicopter refueling platforms on artificial islands in the South China Sea, emergency space shuttle landing strips, particle accelerators, lunar bases, Antarctic research stations, Cape Canaveral, day-care centers on the fringes of Poughkeepsie, King of Prussia shopping malls, chippies, Fat Burger stands, Ghostbusters, mega-slums, Taco Bell, Salt Lake City multiplexes, Osakan monorail hubs, weather-research masts on the banks of the Yukon, Hadrian's Wall, Die Hard, Charlie and the Chocolate Factory, Warren Ellis, Grant Morrison, Akira, Franz Kafka, Gormenghast, San Diego's exurban archipelago of bad rancho housing, Denver sprawl, James Bond films, even, yes, Home Depot – not every one of those is a building, but they are all related to architecture. The register divides important sites into five typologies: buildings, districts, sites, structures, and "large objects." The National Register has not shied away from kitschy or unusual listings in the latter category. In August 2002, the NPS granted a register spot to the World's Largest Catsup Bottle in Collinsville, Illinois. The 70-foot-tall condiment container has a capacity of 100,000 gallons and was built in 1949 for the Brooks (rich and tangy!) catsup company. Generally, properties have to be at least 50 years old to be listed on the National Register. According to David Parks, president of Prairie Grove Telephone Company, there are no plans to add an official marker to the site. 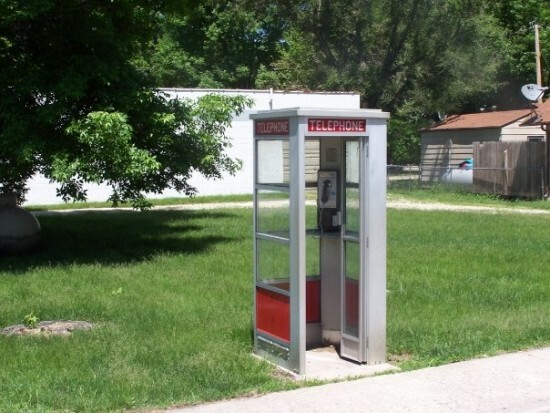 The telephone company has thought about removing the phone booth, but keeps it standing for nostalgic purposes. It's a revenue generator, besides: the coin box yields three to four dollars in change per year. VENUE SPUR Urban Center Gallery 654 Mission Street San Francisco Through October 21 The product of an enviable 16-month-long road trip across the United States, VENUE is the documentation of a series of sites from around the country that are not always considered when surveying architecture and design. The successful bloggers Geoff Manaugh (BLDGBLOG) and Nicola Twilley (Edible Geography) tackle “often overlooked yet fascinating sites through the eyes of the innovators, trendsetters, entrepreneurs, and designers at the forefront of ideas today,” giving a more honest assessment of the American landscape then is represented in traditional urban-centric design media. The exhibition and installation includes books, photographs, maps, ephemera, and more. The tour was thoroughly 21st-century, however it was inspired by the great expeditions of the 19th century. 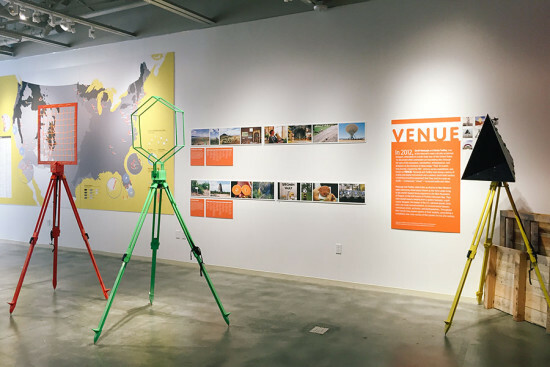 Studio X, the downtown outpost of Columbia's GSAAP program, named Geoff Manaugh (BLDGBLOG) and Nicola Twilley (GOOD/Edible Geography) as co-directors. The fall season of programming under Manaugh and Twilley kicked off September 1. Deborah Marton, who announced her resignation as Executive Director of the Design Trust for Public Space in March, assumed her new role as Senior Vice President of Programs at the New York Restoration Project. David Glover of Arup Associates has left the firm to become deputy chief executive of AECOM’s building engineering business. Dagmar Richter, former teaching professor and chair of the Department of Architecture at Cornell University's College of Architecture, Art, and Planning, has been named chair of Pratt Institute's Undergraduate Architecture Department. Perkins+Will Seattle acquired Hinthorne Mott Architects to boost their Pacific Northwest presence. Will Alsop left RMJM to start a new practice with fellow RMJM principal Scott Lawrie in London. The new firm is called ALL Design. Have news on career moves in the architecture & design universe for SHFT+ALT+DEL? Send your tips to people@archpaper.com! You remember Postopolis! don't you? 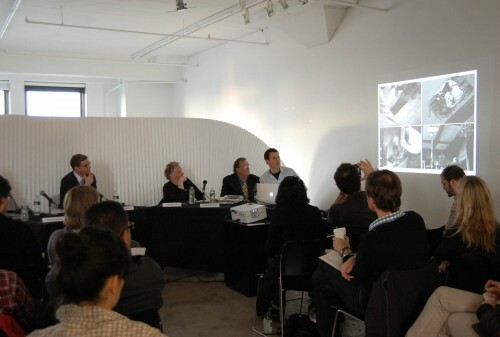 The reality show-worthy architecture blog-a-thon that sequestered five bloggers for five days at the Storefront for Art and Architecture two years ago? Well, hold onto your laptops, kids, because Postopolis! is back and promises to be bigger, better, bloggier and more exclamation-pointy than ever before...because it's coming to LA, baby! Geoff Manaugh announced the lineup today and it's a doozy; six bloggers hailing from Sydney to San Fran (and including Manaugh himself, who we know is still an Angeleno at heart): —David Basulto from Plataforma Arquitectura and ArchDaily (Santiago, Chile) —Jace Clayton from Mudd Up! (New York City, USA) —Régine Debatty from we make money not art (Paris, France) —Bryan Finoki from Subtopia (San Francisco, USA) —Dan Hill from City of Sound (Sydney, Australia) —Geoff Manaugh from BLDGBLOG (San Francisco, USA) Postopolis! will still be sponsored by the Storefront (who had temporary digs here last year) and the lovely folks at ForYourArt as part of the LA Art Weekend. From March 31 to April 4 at a TBD location, the bloggers will post at a feverish, around-the-clock pace. Students from local architecture schools will be hired to monitor feeding tubes, administer 20 oz. Monster energy drinks on the hour and empty their bedpans as needed. In addition to the ancillary interviews, presentations, lectures, panel discussions, and slideshows that we saw last Postopolis!, Manaugh promises: "This time it will be all that plus more art, film, and music, a larger international scope, hopefully several Spanish-language events and lectures, hopefully at least one minor earthquake." We'll try our best to deliver on that last one.